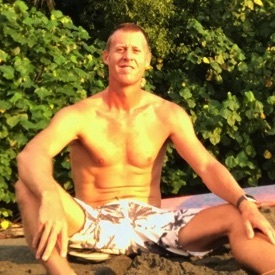 Introducing Randall (Fish) Ruiz: All-Star Surf Instructor for Witch’s Rock Surf Camp. 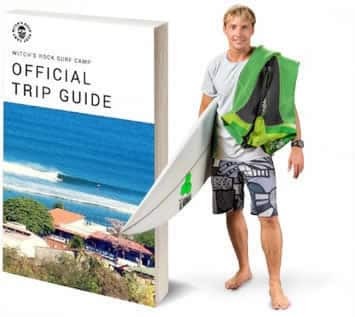 Randall has been an integral part of the Witch’s Rock Surf Camp since he joined the team on Christmas Day of 2017. You could say that Randall has been a “gift” for WRSC along with the countless students he’s introduced to surfing. Aside from being a bona-fide ripper on both longboard and shortboard, Randall has another adrenaline rushing passion as an avid race-car driver. So if you’re a new surfer looking to get on the fast track to improvement, Randall is your guy. When I was 15 years old, I started to practice with an old, beat up board with my cousin, Pako, here in Tamarindo. What kind of surfer are you? How would you describe your surf style? I feel My style is very smooth and not too radical. I only like to use a shortboard when there is solid swell. 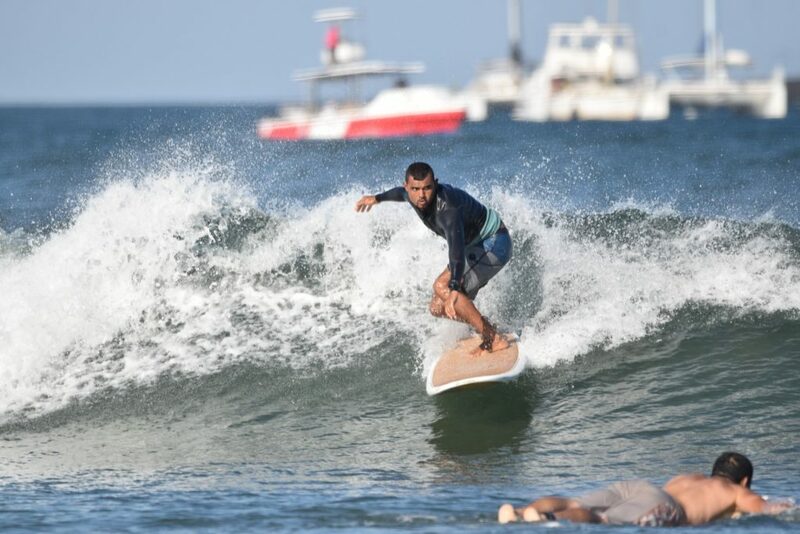 Normally I use an 8’6 NSP coco model which is my favorite and perfect for the everyday waves of Tamarindo. 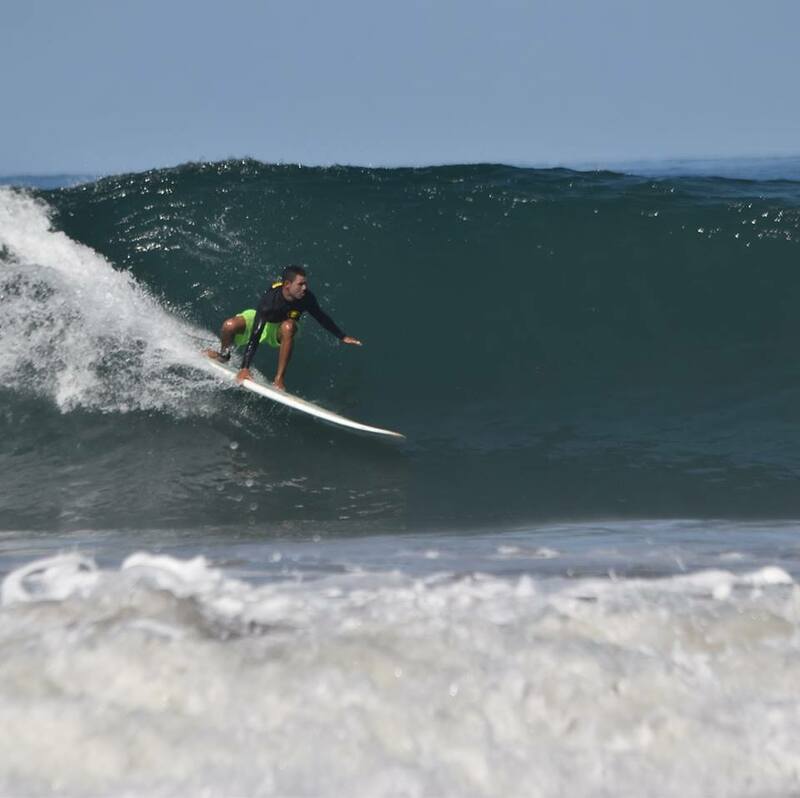 What’s your favorite spot in Guanacaste to Surf? For a beginner, it is important to stay low to maintain your center of gravity. The idea is to have a strong initial push up with your arms so you can then place your back foot in the correct position followed by your front foot. Beginners should always place their hands right next to their chest for maximum leverage to propel you into the rest of the movement. What are the most common questions you get from the beginner surfers? How has Witch’s Rock supported your passion of race-car driving? The support has been excellent. 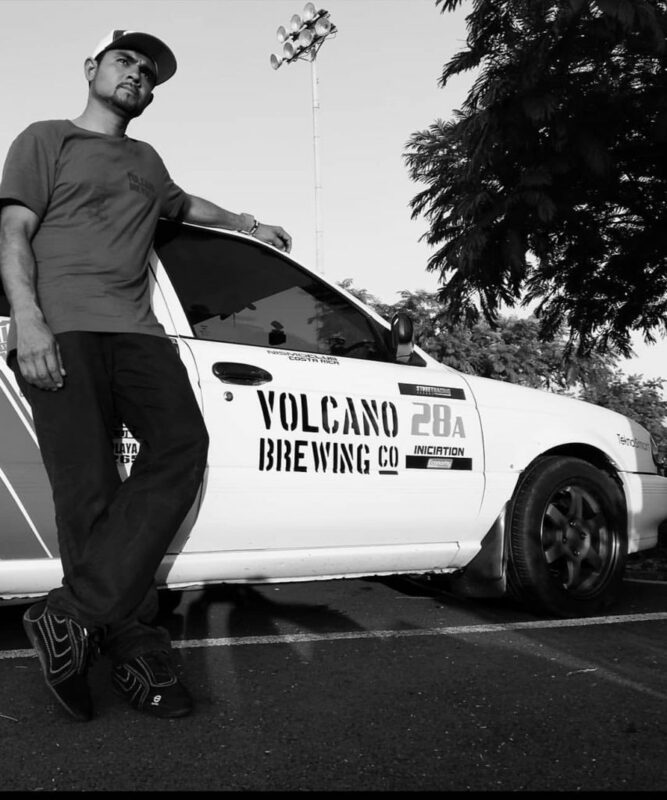 I am sponsored by Volcano Brewing Company which is the onsite brewery at Witch’s Rock Surf Camp. I started to race about a year ago in Interclubes which is a street racing organization in Costa Rica and have made it to the championships. In all honestly, I am extremely proud to represent Witch’s Rock in my division, Circuito Grupo Sur (South Circuit Group). Stoked that Witch’s Rock is supporting me in and out of the work place. Previous Post(VIDEO) Tamarindo Rivermouth Goes OFF! Next PostGet Out & Surf Podcast #12: How Many Boats Have YOU Sunk?